The “[Blank] Destroy [Blank] special issues of Lightspeed/Nightmare/Fantasy Magazines create spaces for diversity within speculative fiction through Kickstarter-funded special issues that focus on a particular community. Next up is something that writers and readers of Filipino speculative fiction should take note of — a special issue for People of Colo(u)r, a somewhat loaded term that is defined in the Call for Submissions below. I used to do some slush reading for Lightspeed, and it’s a great magazine, and the editors for this particular issue – Nalo Hopkinson and Kristine Ong Muslim (who is Filipino) — are awesome and highly capable. I highly encourage Filipino writers to submit to the anthology, and I encourage everyone who loves diverse genre fiction to support the Kickstarter when it launches. You can read the call below, or head to the official site. As with the other Destroy special issues, Lightspeed will be running a Kickstarter campaign for People of Colo(u)r Destroy Science Fiction! It will run January 15 – February 15, 2016. Again, as before, if we meet certain stretch goals, we’ll unlock the publication of Destroy Fantasy! and Destroy Horror! volumes as well. Yes, words are complicated. That’s what’s delightful about them. We can deal with complication. Science fiction — in itself a term that should be frequently re-examined — is an excellent artistic tool for dismantling essentialist thinking. For the purposes of this special edition of Lightspeed Magazine, the Guest Editors — Kristine Ong Muslim and Nalo Hopkinson — consider the terms “people of colour” and “science fiction” themselves to be conditional, contextual, provocative, strategic, and ripe for dismantling. Please understand our use of those two terms in this call for submissions in that spirit. We’re looking for previously unpublished science fiction short stories of up to 10,000 words, reflective of the issue’s theme, written by writers of colour. Note that there’s a POC Destroy Fantasy issue planned, so the editors of the science fiction issue are going to make some judgement calls about whether a story is science fiction (for some values of “science fiction”). Note also that we will not be asking writers who submit stories to tell us what makes them “people of colour.” We leave that up to your world experience, your conscience, your sense of community, and your sense of fair play. Our submission period for this special issue will be Oct. 1, 2015 – Feb. 16, 2016. Submissions will be made via our submissions system. As with the special “Destroy” issues of Lightspeed Magazine that have preceded it, the POC Destroy Science Fiction! issue will be contentious. That is, after all, part of its aim. Not the unconsidered splattershot of “equal opportunity” offensiveness — whatever the hell that is when not everyone has the same opportunities — but, we hope, one venue for the continuing and wonderfully productive discussions of access that are currently happening in this community. 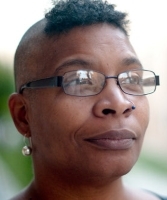 Nalo Hopkinson is a Jamaican-born Canadian whose taproots extend to Trinidad and Guyana. She has published numerous novels and short stories, and has edited and co-edited anthologies, including Whispers From the Cotton Tree Root: Caribbean Fabulist Fiction, and Mojo: Conjure Stories. Her writing has received the John W. Campbell Memorial Award, the Locus Award, the World Fantasy Award, the Sunburst Award for Excellence in Canadian Literature of the Fantastic, and the Andre Norton Award. Hopkinson is a professor of Creative Writing at the University of California, Riverside. She has taught at both the Clarion Writers’ Workshop and the Clarion West Writers’ Workshop. Hopkinson’s short story collection Falling in Love With Hominids was published in 2015 by Tachyon Books. Learn more at nalohopkinsoncom. Kristine Ong Muslim is the author of We Bury the Landscape (Queen’s Ferry Press, 2012), Grim Series (Popcorn Press, 2012), and A Roomful of Machines (ELJ Publications, 2015). Her forthcoming books include the short story collection Age of Blight (Unnamed Press, 2016) and two poetry collections from university presses in the Philippines. Her stories appeared in One Buck Horror, Confrontation Magazine, The State, and elsewhere. 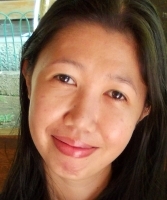 She lives in southern Philippines and serves as poetry editor of LONTAR: The Journal of Southeast Asian Speculative Fiction, a literary journal published by Epigram Books in Singapore. Learn more at kristinemuslim.weebly.com. In parallel to August being Buwan ng Wika, Egay Calabia Samar – author of the Janus Silang YA series — has decided to celebrate the month as ?#?BuwanNgMgaAkdangPinoy and has invited others to join in on social media. Every day, readers are posting images of Filipino-authored books (whether written in Filipino or not) on Twitter and Facebook, and you can find them by searching the hashtag. If you’re a fan of Filipino authors or books, feel free to join in!